Home>New Songs>Summer Walker Songs> Drake Remixes Summer Walker's "Girls Need Love"
A few weeks ago, Summer Walker performed "Girls Need Love" on Jimmy Kimmel's late night show. Before that point though, she started picking up some major hype, earning co-signs from some of the most influential artists in the game. Today, it was announced that a remix of the track would be coming out, featuring none other than the biggest artist in the world: Drake. The Canadian talent gets a lot of flack from fans but at the end of the day, he's been one of the most consistent, impactful artists of this generation. For him to remix your song is a big deal. iLoveMakonnen blew up right after the "Tuesday" remix dropped. Just think of what can happen to Summer Walker now. The remix to "Girls Need Love" is officially out, as previously promised by the 6ix God. While it was only announced a few hours ago, fans have already been reacting to the news, wondering how their sounds would mesh. It turns out that they actually sound pretty beautiful together. Drake is experienced in this type of R&B vibe, so making his way onto this remix was only natural. Which do you prefer? The remix or the original? Where do you think Summer Walker goes from here? 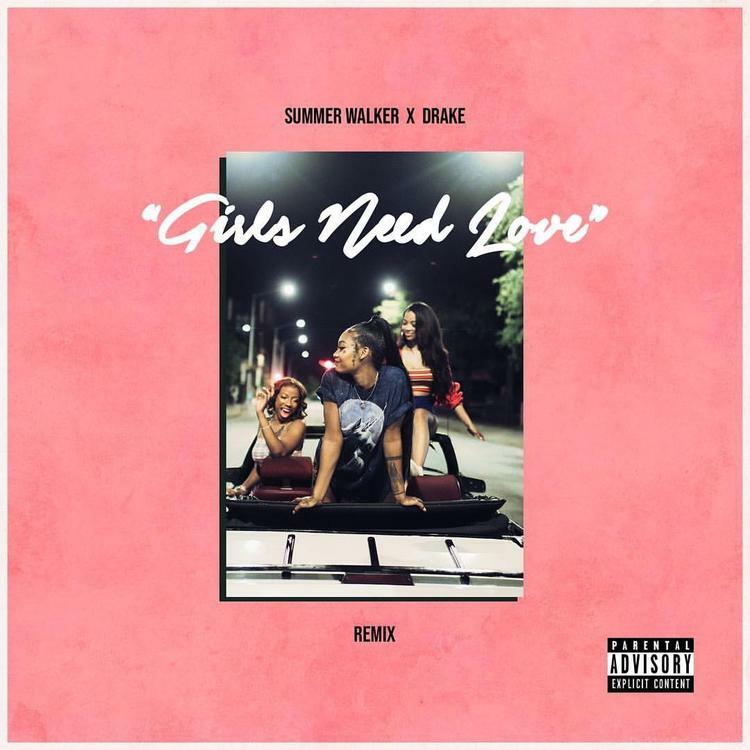 SONGS Drake Remixes Summer Walker's "Girls Need Love"